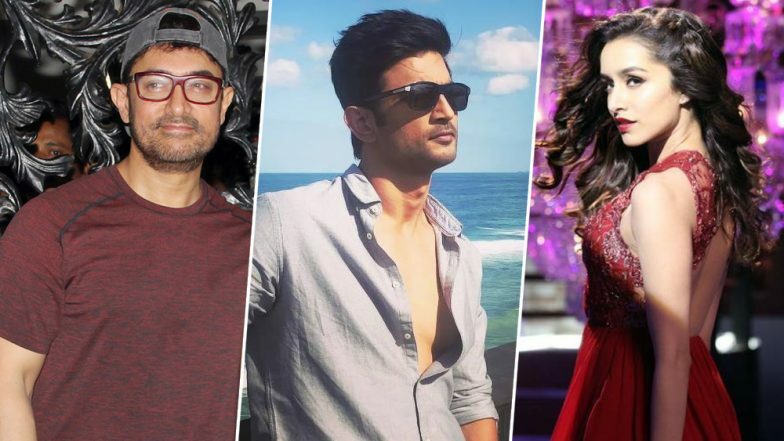 Aamir Khan to Make a Special Appearance in Sushant Singh Rajput-Shraddha Kapoor’s Campus-Drama Chhichhore? After directing the blockbuster film Dangal, Nitesh Tiwari is returning with another great project, Chhichhore. This rom-com features Sushant Singh Rajput and Shraddha Kapoor in the lead with many other popular actors in the supporting roles. It is now heard that superstar Aamir Khan would be having a special appearance in this campus-drama, Chhichhore. Chhichhore Poster: Sushant Singh Rajput and Shraddha Kapoor Look UNRECOGNIZABLE in Nitesh Tiwari's Quirky Movie. Filmmaker Nitesh Tiwari had worked with Aamir Khan in the film Dangal. Not just that, Sushant Singh Rajput had played a special role in Aamir Khan-Anushka Sharma starrer PK. Now looks like, Aamir is all set to reunite with Nitesh Tiwari and Sushant once again. As per a report in Mumbai Mirror, Aamir has apparently given a nod to do a cameo in Chhichhore. About it a source revealed to the tabloid, “Aamir and Nitesh share a great bond and wanted to collaborate on something special after Dangal. So, when Nitesh shared the idea of the cameo, Aamir really liked it and was keen to be a part of the project. Once the formalities are locked, they will zero in on the dates of the shoot for this really special role.” Aamir Khan’s Transformation As ‘Daddu’ for His Next Project Is Remarkable – Watch Video. Meanwhile, Aamir Khan has confirmed about his next film titled Lal Singh Chaddha. It is a remake of the 1994 film Forrest Gump, in which Tom Hanks played the lead role. There are also reports stating that the film is expected to release in Diwali next year.